Good nutrition and managing weight are building blocks for a healthy, full life. Changing habits doesn't happen over night, but Methodist Hospital can assist you in reaching your nutrition and weight goals. 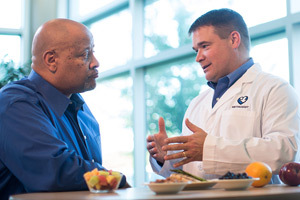 Talk to your doctor to find out if a special diet can help you better manage your health conditions. We can also provide group presentations about nutrition and healthy eating. Sign up to receive our monthly e-newsletter with the Fare of the Month recipe.